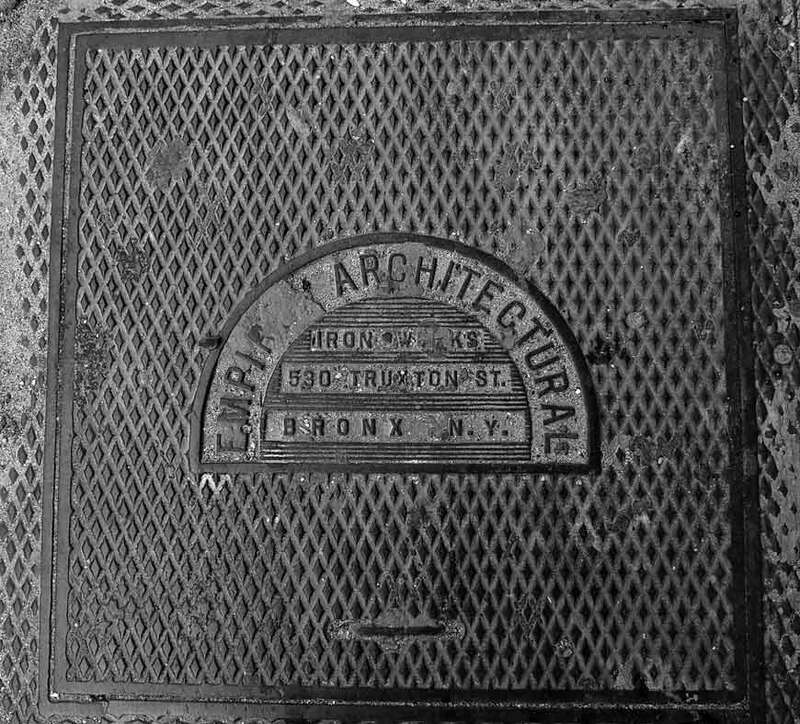 Empire Architectural Iron Works began in 1911 as Empire Iron Works at 337 East 107th Street, Manhattan, and quickly moved to 415 East 107th Street on the Harlem River. In 1914 the name changed to Empire Architectural Iron Works, and in 1915 they moved to 15 East 137th Street in the South Bronx. In 1924 they moved again, this time to 530 Truxton Street near Randall Avenue in the Hunt's Point section of the Bronx. They were in business here from 1924 to 1935/36. In 1915 an award for 1000 tons of structural iron was made to Empire Architectural Iron Company for the Kirkman warehouse, Brooklyn. In 1919 Empire Architectural Iron Works were awarded the contract for structural steel used for alterations to the building at 2 West 88th Street on the corner of Central Park West (Schwartz & Gross, architects). Proprietors of the Empire Architectural Iron Works were Samuel Greenfield (1888-1943) and Samuel Roshovsky (1878-1955). Samuel Greenfield was born 15 October 1888 in New York City. Samuel Roshovsky was born February 1878 in Russia. These two seem to have been close associates for many years. When they registered for the World War I draft in 1917 and 1918 both lived on Washington Avenue, the Bronx. In the 1920 U. S. Census their entries came back-to-back at 1983 Vyse Avenue, the Bronx. The New York telephone directory listed them at this address, sharing the same telephone number, from 1920 to 1927. Then from 1928 to 1951 they both lived at 2798 Webb Avenue, the Bronx. The U. S. Census for 1930 and 1940 recorded them here, again with back-to-back entries. When the Empire Architectural Iron Works closed in 1935/36, Greenfield and Roshovsky went into real estate. This business, Greenfield & Roshovsky, was located at 225 East Mosholu Parkway North from 1938 to 1959, then survived one more year at 1485 Macombs Road before closing in 1960.